The temps outside have been dropping lately, and the leaves are changing color. The calendar isn’t quite on October yet- but my mind is 100% in the fall! Fall is my favorite season, and part of the reason for that is the pumpkin recipes that I always bust out during this time of year. Mmmmmm…..pumpkin recipes!!! If you love everything pumpkin like I do, then this list is for you. I rounded up some of the most mouthwatering savory and sweet pumpkin recipes that I could find, and I’m excited to share them with you today. 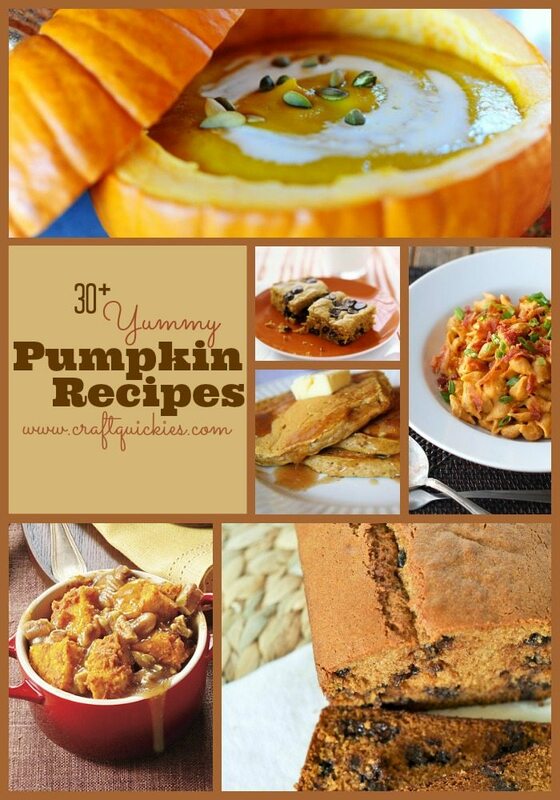 So, without further ado, I give you 30+ mouthwatering pumpkin recipes to make this season! Thanks for linking up my pumpkin latte & for all these great ideas!